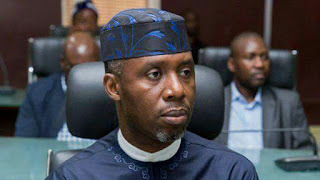 Former Chief of Staff to the Imo State governor, Uche Nwosu, has dismissed the reported endorsement of the Presidential candidate of the Peoples Democratic Party (PDP), Atiku Abubakar, and his running mate, Peter Obi, by Igbo leaders at an Enugu summit recently. He described the endorsement as “a designed plan to deceive the people that the Igbos rest their support with the PDP”. Nwosu, who maintained that the support for President Buhari by the Igbos was still intact, noted that the endorsement by the few Igbo leaders at the Enugu Summit did not reflect the position of Ndigbo and will not affect the chances of President Muhammadu Buhari in the South East. He continued that, “Most of the political decisions of some of our leaders are self serving and not in the overall interest of the Igbo but this time we are committed to pursuing the best political option for the Igbo, which is supporting President Buhari’s second term”. Nwosu also added that, “The fact that majority of our party members are not happy with the APC National Chairman, Adams Oshiomole over the manner he handled the party primaries across the zone does not affect our support for President Buhari. “In fact it is beyond personal considerations, it is about the interest of Ndigbo and we will deliver President Buhari in 2019. The support for President Buhari is borne out his unequalled integrity and uprightness, which is what the country needs most now,” he concluded.